Anyone looking to sell their home is undoubtedly looking to get the best asking price possible. As a result, altogether too many homeowners spend a great deal of money on home improvements. However, many of those improvements don’t actually add any real value to the home and could very well be a huge waste of time and money. Before selling your home and doing all kinds of unnecessary (and costly!) work, it is in your best interest to know the very real difference between home improvements vs home repairs. There is no getting around the fact that some home repairs are absolutely necessary before listing your home for sale. For instance, does your roof leak? If so, get it repaired if it is new enough to have several years of life yet but if it is nearing the 20 year mark, the usual lifespan of a roof, then it is better to find a good deal on a reroofing job. Is all the plumbing in good order and are all the doors and windows intact and weatherised? If so, you may be ready to sell your home. Then there is the overambitious homeowner who wants to add value to the home in order to mark the asking price up by thousands. This may be a grave error in judgement as only some improvements will add any real value after the cost involved in making and paying for those improvements. Some homes are in neighbourhoods that don’t have outdoor pools, for example, so to add one on your back lawn would most likely not add any real value because your home is valued based on a number of factors amongst which is the price other homes in your area sold for in recent times. Here is something to think about. When your home needs a home repair and an improvement over what is currently installed would add value, you may wish to consider an upgrade. One good example is that roof mentioned above. Perhaps you’d consider adding energy efficient roofing material that helps you maintain climate control within the home. 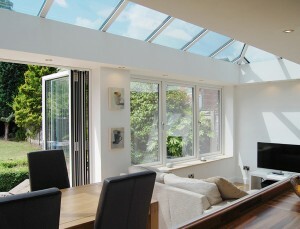 Or perhaps you’d like to add a loft conversion at the same time to give your home greater living space. If you need repairs in order to list your home for sale, take a little extra time to see if you can improve upon the functionality or the appeal which, in turn, will add value. This is a wonderful way to make a bit of extra money whilst offering a home that would sell much quicker! If you are looking to sell your home, then, remember that there is a very real difference between repairs and improvements. Don’t make unnecessary improvements that won’t add value as it would be a huge waste of money. On the other hand, the best option is to make improvements whilst doing repairs because those very well could add value and ultimately what you will get upon closing the sale. That’s what you’re after so give it some thought. How do you prioritise your home improvement ideas? Often it comes down to the simple matter of finances so make a list of the home improvement projects you’d like to tackle, do your research into the associated costs and then you can look at your budget. They are plenty of options for making your property look more aesthetically appealing without having to invest in major renovation work. Start by making a ‘snagging list’ of things that need repairing or improving around your home. 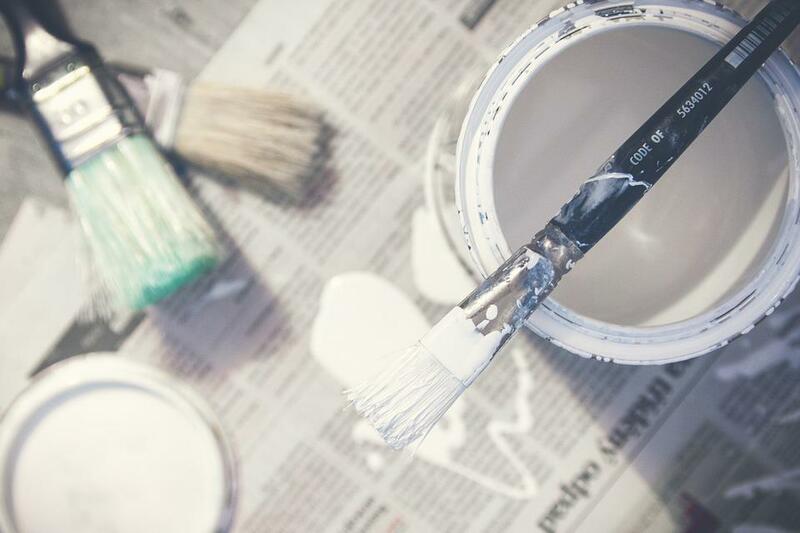 If you are making home improvements with a view to selling your property, ensuring everything is in good working order and there is a fresh lick of paint, can help to attract potential buyers. So once you’ve made your list, where do you start? This depends very much on whether you’re handy yourself or dread DIY and avoid it at all costs. Maybe you’re a dab hand with a paintbrush, but your joinery skills leave a lot to be desired. Preparation is key to getting home improvements right, so plan your project out and assign tasks. Recognise your skills and know your limitations. It can be far more cost effective to call on the services of a professional than it can to bodge a job that you weren’t properly prepared for and then have to go to the trouble and expense to put it right. Work out your budget so you know how much you have for materials and what you can afford to pay tradespeople to come in to undertake the work you aren’t confident you can do. 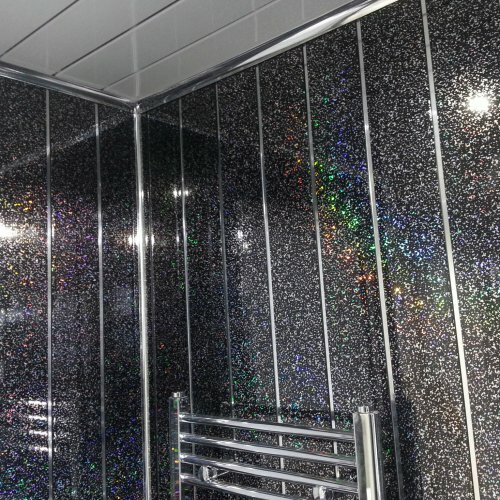 Get recommendations from friends and family as to reliable and competent tradespeople and remember to get several quotes to ensure you are getting value for money – it might be worth paying a bit more to ensure the work is carried out to a high standard than to be tempted by a cheaper quotation. Getting a few quotes should give you an accurate idea of what sort of price you should be paying. When it comes to more major home improvements like conservatories, garden landscaping and extensions you need to do your research to ensure that the money you pay for the work is worth it in terms of the value it will add to your property. The best place to start is by looking at what other homeowners in your area have done to their houses. There will be a ceiling price for properties on your street so there is no point adding a huge extension to create a luxury house if the perceived value exceeds what people are willing to pay for properties in your area. Your home improvement projects will also be influenced by the motivating factors for the work – if you are making improvements on your forever home then you won’t be as concerned with added value as you will if you are improving your property with a view to selling up and moving on. So, before you embark on any DIY task or major home improvements make sure you look at the bigger picture of exactly what you are setting out to do and what you can afford to spend to achieve your vision. Ready to put your DIY skills to the test? Take our fun interactive quiz to see whether you’re up to the job or need to call a professional. An innovative new construction tool aimed at producing perfect mitres for skirting boards and coving is set to get building tradesmen and DIY enthusiasts climbing the walls with delight. The TrigJig is a digital tool which measures, calculate and guide cuts. There are two versions – one specially adapted for skirting boards and the over to cut perfect coving. The gadgets save tradespeople hours of labour time and hundreds of pounds in ruined building materials. This is because they’re simple to use and extremely time efficient, completing any mitre in less than a minute. The devices will also help tradesmen/women and seasoned DIY’ers cut and fit perfect cornices and crown molding every time. The smart, rust-proof, stainless steel gadgets sit easily into the palm of a hand, are simple to use and guaranteed to benefit both professional and amateur builders alike. 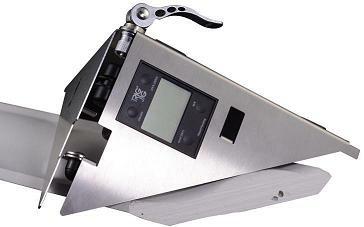 They are fully adjustable and can measure both internal and external angles. The device has a magnetic sensor which is accurate to within 0.1cm, an extra large LCD screen, quick release cam locks and a smooth magnetic cutting guide. It measures 200mm (length) x 60mm (height) and 26mm (width) with a total weight of 0.6kg. Nothing similar has ever been introduced to the DIY and construction market before. A recent crowd funding campaign saw the innovative hand tools raise £125,000 in a week. Director of HICI Ltd and creator of TrigJig Dan Soanes-Brown first recognised a niche in the market whilst working as a plasterer for more than seven years. First-hand he experienced numerous problems when it came to fitting skirting boards and coving, particularly in older homes where angles weren’t always 90 degrees. The result was guess work and frustration at times. “You’ll find that the older a house, the more varied the measurements become and the longer it takes to get them right,” he said. “Bay windows in particular tend to cause huge problems and, of course, buildings move over time resulting in corners with awkward angles and uneven lines. Soanes-Brown believed there had to be a better way of solving the problem. Following months of research he came up with the concept of the TrigJig. He is delighted with the final result – and so are his former colleagues in the building trade. He added: “I know a lot of joiners who are already very excited about this. It’s the coving and skirting equivalent to using a spirit level to measure a straight wall. 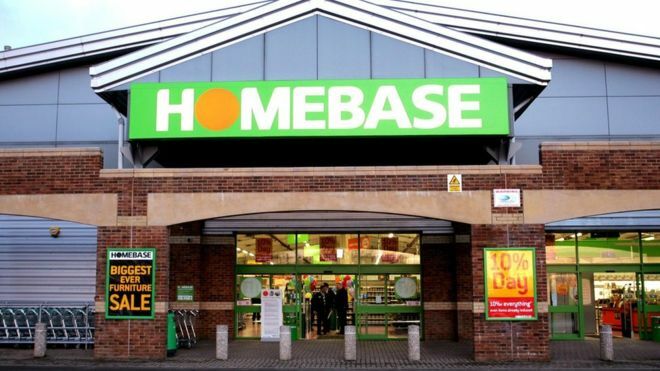 The BBC recently reported that UK DIY chain Homebase has been sold by its owner Home Retail Group to Australian retail giant Wesfarmers for £340m (A$705m; $485.2m). Wesfarmers already owns Bunnings – one of Australia’s largest suppliers of outdoor living and DIY products. 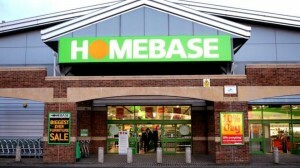 The 265 UK Homebase sites will be rebranded under the Bunnings banner over the next three to five years. Wesfarmers said it would spend a further £500m on upgrading the UK stores. The deal is expected to be wrapped up in the first three months of this year provided shareholders of Home Retail Group agree to the purchase. Wesfarmers, which owns one of Australia’s biggest supermarket chains, Coles, has estimated that the UK’s home improvement and garden market is worth £38bn. The market leader is Kingfisher’s B&Q chain. Do you have an on-going project in your garage? Perhaps a classic car that needs tinkering with every weekend, or a much-loved family car that requires TLC on a regular basis? If your evenings and weekends are spent under the bonnet or crawling underneath your vehicle of choice, you’ll need some effective lighting to see what you’re up to! This is where SMD LED (Surface Mount Diode) and COB LED (Circuit on Board) lighting comes into it’s own. If you’re still using that ancient incandescent filament bulb* that’s been hanging in the garage for the last decade (incidentally these bulbs were phased out in 2012), it’s time for a replacement. Even if you’ve invested in some LED bulbs you may be surprised at the difference a dedicated SMD LED worklight can make. What’s the big deal with SMD LED we hear you ask? Well this technology really packs a punch when you need a bright, consistent light to illuminate a large area. 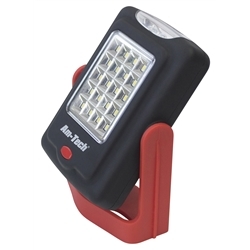 Many traditional LED worklights are great for general use and for creating a spotlight on the DIY project or task you have in hand. However, the standard LEDs epoxy enclosure tends to focus the beam so it casts light directly on the area in front with a drop off of light around it. For situations where you require a bright, consistent light (for example underneath the chassis of your mark 1 convertible), SMD LED worklights are much more effective. Furthermore they give off almost no heat so you won’t find yourself feeling uncomfortably hot when working in close proximity to one, and there’s no risk of a burn if you bump up against it. SMD LED also has a lower power consumption that a normal LED light so you can spend as much time under the bonnet as you like without impacting adversely on your energy bills! For those people who would like a worklight or torch that creates a lighting panel effect, COB LEDs are the answer. Multi LED COB chips are packaged together to form one lighting module, as opposed to SMD’s that are segmented into numerous tiny pieces of semi-conductor crystals and are directly placed over a substrate. As with SMD LEDs, COB LEDs are popular for their heat efficient behaviour. They ensure minimum heat production and emit homogeneous light. The behaviour is enhanced with the addition of a ceramic substrate, which induces a cooling effect in addition to the homogeneous light production. 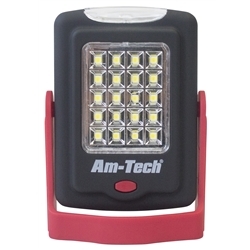 Both types of LED offer a superior level of lighting for the mechanic, DIYer, caravan owner or camper and come in a range of lighting products such as torches and penlights, as well as LED worklights. If you plan to spend time in your garage this winter, check out our lighting range to ensure you can see exactly what you are doing! * LED Bulbs use up to 90% less energy than an incandescent or halogen bulb of equivalent brightness. LEDs are far more efficient at converting electricity, measured in watts, into light, measured in lumens. As such, a typical 4 watt LED bulb can easily achieve a light output comparable to a 50 watt halogen, sometimes higher due to its high lumen to watt ratio. Cladding is the application of one material over another and is often used for aesthetic purposes. Bathroom cladding refers to bathroom wall panels fitted over your walls to improve the overall look of your bathroom. With cladding, you can create interesting contrasts and beautiful finishes. If you intend to use your wall panels in a shower, you should use a silicone sealant between each joint. This ensures no water will get between the panels, preventing your walls from becoming damp. If the panels you have ordered do not fit, you may need to cut them to size. This can be done with a standard hacksaw or Stanley knife as they are generally quite thin. The panels feature a tongue and groove system that is similar to laminate flooring, with each panel interlocking for a snug finish. You can then fit the panels in place with a high power adhesive. Aim to use around 1 tube of glue per 2 panels. Apply the glue in an S-shape to maximise the surface contact and increase the adhesive properties. You will need to tidy up edges and exposed panels with trims. To do this, you will need to buy extra fittings such as coving, end caps, corners, angle trims, H-trims and bath seals. Once you’ve installed your new cladding, you should keep it in good condition. Cleaning cladding is easy and should be done with a damp cloth. Do not use chemical cleaners or bleach as they can discolour or damage the cladding. You should dust down the panels but don’t use any dusting sprays, as they can cause streaky marks. Prolonged exposure to sunlight can sometimes discolour panels that aren’t UV rated. Cut them indoors or in a covered location such as a garage if possible. With colder temperatures creeping in, you might be having mixed feelings about the winter ahead. It’s hard not to look forward to snow-covered pavements, skiing and hot chocolate. But the cold-season spike in gas and electricity bills beckons. Don’t let your heater spoil your season of cheer, take some advice on how to prepare your home for winter. Once you know these ten things before turning on your central heating, you can embrace the chill, lower your energy usage and save money. There are various types of central heating systems. Knowing your central heating system is the first step to maximising energy efficiency and preventing costly or dangerous malfunctions. Does your system rely on hot air, steam, or hot water? Is it gas- or solar-powered? Is there are a boiler or heater involved? Get to know the basics of your central heating system so that you know what to look out for, and what questions to ask the professionals. Sealing up all the little spaces where heat can escape is worth the effort. Check your windows for tiny gaps, especially if they were installed before 2002. Even adding a letterbox flap or keyhole cover can make a big difference in keeping warm air in and cold air out. Significant savings can be had by reducing escaping heat. Heat escapes through poorly insulated attics. You know the rule: Heat rises. And so much of it is lost through the roof when your home isn’t properly insulated. The recommended 270mm insulation will do wonders at keeping the warmth where you want it – around you. Heaters are more efficient with reflectors. Remember the sun-bathing days of summer? Imagine your heater is you and the heater reflector panels are the shiny sun reflectors that girls in movies always have. The moral is, reflectors installed behind your heater maximise energy, reflecting heat from your heater away from external walls and back into your home, keeping it from escaping to the outdoors. Not every room needs to be the same temperature. Think about it. How often are you using your guest bedroom? Does it need to be as warm as your living room? Maybe your kitchen heats up every time you turn on the oven. Could you spare a few degrees there? By installing thermostatic radiator valves, you can control the temperature in each room, which will leave you with much lower energy bills than if you’re keeping every room at the same cozy degree. 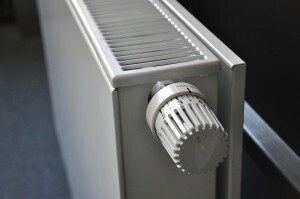 Radiators should feel equally warm on the bottom and at the top. Maximise energy efficiency by “bleeding” your radiator. When the top part of your radiator is cooler than the bottom portion, there is most likely cool air trapped inside. By bleeding your radiator, or clearing out the cool air, it will function more efficiently. Getting your central heating serviced can prevent big disasters. Hiring an engineer to service your central heating system can not only prevent future breakdowns by solving minor problems right away, but also can save you from potentially dangerous situations, like a carbon monoxide leak. Rugs and curtains can help keep heat inside your home by providing a little insulation to cover hard surfaces like windows and wood floors. They also hold heat, providing you with warmer walkways and walls without you having to crank up the thermostat. Heating a home for no one is wasted energy. There are very few reasons to keep your heat on all day if no one is there to enjoy the warmth. Invest in a timer, and set it according to when you wake up, leave for the day, and come home. Cutting out all those wasted hours of heating will make a big impact on your energy bill. You’ll be surprised how much money you’ll save by lowering your thermostat just a few degrees, especially over the course of a winter. You might also be surprised by how much you don’t mind putting on joggers and a jumper when you get home and kick off your shoes. Instead of nostalgically insisting on your favourite tank top, lower your thermostat just a little, and smile when your energy bill comes in the post because that fleece will feel even cosier. 11. BONUS TOP: Get your boiler serviced regularly. Can you remember when you last had your boiler serviced? It’s extremely important to have your boiler serviced every year, it’s easy to not think about but it really could be a matter of life and death. And Landlords even have a duty of care to have this carried out. Carbon Monoxide poisoning is responsible for sending 4,000 people a year to accident & emergency in the UK. Also think about fitting a carbon monoxide alarm. It’s relatively quick and easy to carry out a service. Just make sure you use a Gas Safe Registered Engineer and you’ll have peace of mind your boiler is in full working order. Dave Holliday is the owner of Watertite Plumbing in Bristol. Dave has helped many homeowners and landlords with their plumbing, boiler and gas safety checks. You can connect with Dave onGoogle+, Facebook andLinkedIn or call Watertite Plumbing and Heating on 01179 093 967. Which magazine recently reported that almost a third of their members have more than £2,000 worth of equipment stored in their outbuildings. Whilst some items kept in sheds may well be covered by household insurance policies, it is possible that higher value items may not be covered or need additional insurance cover. Items such as top of the range bikes, lawnmowers (particularly sit on mowers), golf club sets, expensive tools such as lathes for metal or woodworking may be a target and if the these items do not fall within your insurance policy, any theft will leave you feeling pretty sick. The other thing to consider is, many people now work from home or use sheds as storage for their office equipment which can include TVs, computers, monitors and other potentially high value electrical goods which are easy to steal. Which magazine reports that between 2012-14, 342 laptops, 387 computers and 447 phones were stolen from sheds and outbuildings in the London area alone. 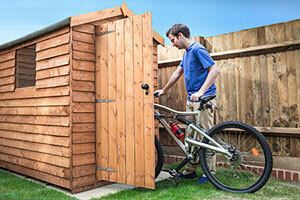 There are many ways to help reduce the chance of your shed or outbuildings being burgled, strong padlocks, replace rotting wood, use strong hinges, install alarms, security lighting to name a few. This post has been sponsored by Wickes. Limescale forms as a result of hard water. This type of water contains dissolved calcium and magnesium crystals. When this water evaporates, calcium carbonate — or limescale — is left behind. In terms of health, limescale is pretty harmless, with its effects lying in other areas. 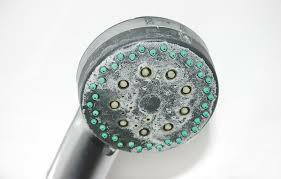 When left to build up, limescale can cause surfaces to become unsightly. When allowed to build up in kettles, pipes and taps, it can reduce the efficiency of the appliance, so it should always be prevented to keep your household costs down. If you do have limescale in the areas mentioned above, the good news is you won’t need to invest in expensive cleaning materials. Lemon juice or strong vinegar will usually do the trick, as they’re acidic enough to remove the deposits. Never scratch away the limescale, as doing so can cause damage to the affected surfaces. Once you’ve cleaned the deposits away, many people struggle with how to prevent limescale. 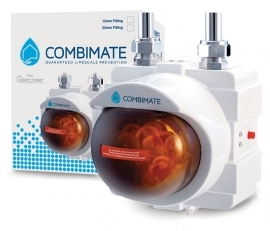 Thankfully, technology like Combimate is available to help you keep the deposits at bay. The easy to install gadget contains Combiphos, a natural material that prevents the build-up of limescale in crucial areas of your home, like your taps, boilers and appliances. Injuries to fingers are the most common power tool related accident ranging from minor cuts and grazes, through to puncture wounds and actual severed fingers. Make sure your severed fingers only come from the fancy dress shop by wearing protective gloves and using a clamp (rather than your free hand) when operating a jigsaw or other machinery. Power saws can also cause amputations, especially involving fingers and hands. These can be caused when using the wrong tool for the job, such as cutting a piece of wood that is too small for the saw, or because of a momentary lapse in concentration. Therefore it is vital that you always choose the right tool for your project, and that you’re focussed on what you’re doing ensuring that no one is likely to distract you. 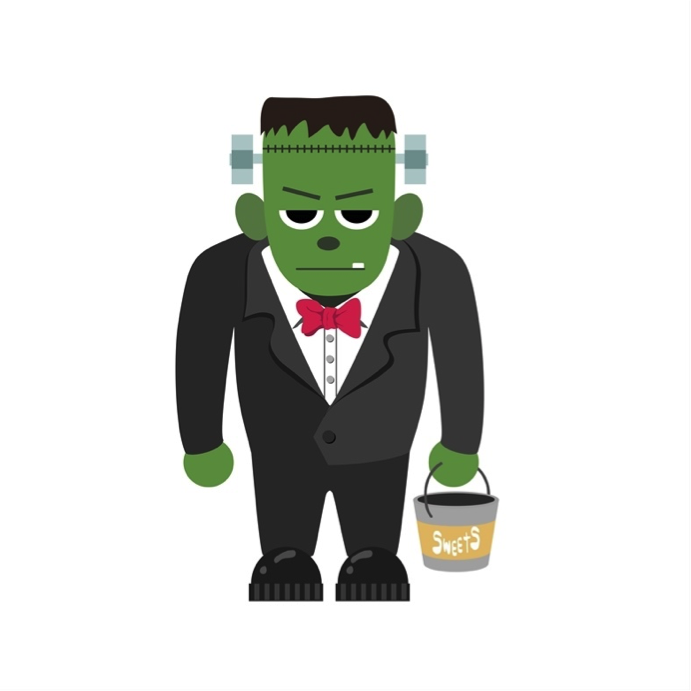 Have you seen those Halloween headbands that make you look like you have a bolt through your head? Great if you want to look like Frankenstein, but not something you want to happen in reality. Fortunately puncture wounds and impalements like this are very rare but can be caused if you trip and fall. Wires and leads are a common hazard, which is why a cordless drill is such a good option. Eye injuries are generally caused not by the tools themselves but by the shavings, dust and fragments expelled by them. Remember that power tools create a lot of energy and therefore those particles do not just fall to the ground. Protective safety goggles are a must to prevent both minor irritations and more serious damage to your eyes; or use a dust collector with your drill. 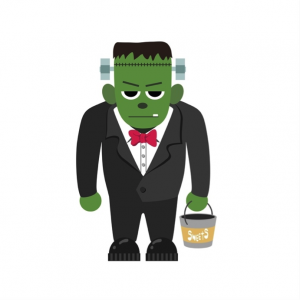 Your fancy dress costume might be designed to look hair-raising but no one wants to experience electrocution first hand. Frayed cords or extension leads can be guilty of this, so make sure yours are in good order. If you’re working outside keep cables and power tools away from water (check that leads aren’t lying in puddles or on damp grass), and if they do get wet dry them out thoroughly before using again. You can search for the DIY tools mentioned in this blog at www.amtechtools.com and find more great tips at DIY HUB.